Most security data breaches we hear about today are related to online hackers accessing personal records including credit card details, dates of birth, personal passwords and even home addresses. Kmart, David Jones and Gumtree have all recently fallen victim to this type of cybercrime, with thousands of their customers’ details getting into the wrong hands. Although we have moved to paperless options for many things in today’s world, paper records have not been completely phased out yet. As a result, documents are still being stolen out of office waste paper bins, staff members’ bags and even direct from printers. The Journal of the American Medical Association (JAMA) found that stolen paper records still account for up to 31% of security breaches. With statistics like this, ensuring your confidential business records are kept secure, is of extremely high importance. To keep sensitive information of your clients and business safe there are steps to take within your workplace to dispose of paper documents confidentially. Order a security bin supply and pick up service. Place the lockable bins throughout your work space and ensure everyone knows what to put inside. Make a list of which documents are to be disposed of confidentially and display around the workplace, including near the security bins. Train staff on which documents are to be kept confidential and how to dispose of them correctly and securely using the security disposal bins. Also enforce the importance of not leaving paperwork lying around on desks, photocopiers or in or near printers. Keep your paperwork from becoming a paper trail for criminals with Sydney Shred. We will provide secure paper shredding and document destruction for your business including a security bin supply and pick up service. Sydney Shred serves many areas in the Sydney metro region including Sydney CBD, Randwick, Parramatta, Dee Why, Liverpool and Cronulla. Estimates by the Attorney-General’s Department indicate that identity crime costs Australia upwards of $1.6 billion each year. Identity theft is the theft or assumption of a pre-existing identity using stolen personal information. Identity crimes are those activities carried out by a perpetrator using the identity they have stolen. What does a criminal do with your personal information? We most often think of criminals running up debts using stolen credit card details, and this is indeed very common. However, criminals can also apply for loans, driving licences, benefits, passports, mobile phones and even jobs using your personal information. always cover the keypad at ATMs or on EFTPOS terminals when entering your PIN, and be aware of your surroundings. be cautious of who you provide your personal and financial information to—ensure that there is a legitimate reason to supply your details. regularly review your bank statements and obtain a copy of your credit history report. Regular shredding of your sensitive documents is a vital step in identity theft prevention. Sydney Shred will provide you with a security certificate of destruction once your documents have been securely shredded. See our document shredding page to order a security bin. For other useful tips about preventing identity theft, refer to protecting your identity resources, published by the Attorney-General’s Department. Does Document Shredding Really Have An Impact on the Environment? Recycling is commonplace in today’s business world. Even at home, it is now second nature to place paper products in a separate bin to our general waste. Of course, placing sensitive business or personal documents in the recycling bin opens us up to possible breaches of privacy – something that nobody wants to be confronted by. Diverts shredded documents away from landfill – saving valuable space for those materials which can’t be reused, recycled or composted. Keeps trees in the ground where they belong – for the health of our planet, our enjoyment and our heritage. Decreases the environmental damage caused by paper production – the less paper that needs to be produced, the less non-renewable resources such as fuel and chemicals are saved. Creates environmentally friendly products – instead of creating items such as copy paper, tissues and kitchen towels from new resources every time. The world of paper recycling has come a long way in the past 20 years. Recycled pulp is now used to create items such as environmental urns, costume jewellery and even furniture. Find out more about our shredding and recycling processes here. We live in exciting times with the opportunity to make a real impact on the health of our finite resources with innovations popping up all the time in order to improve the way in which we use our paper. What are some of the clever ways you have used recycling in your home or office? Have you performed an information risk assessment on your paper files lately? In a world reliant on technology, smart phones, apps and super servers, often the security focus stays firmly on IT and cyber safety. Yet have you thought about the risk posed in an attack on your paper files? In 1975, Business Week published an article heralding the paperless office. Decades later the promise of a paperless office has not been fulfilled, and it probably won’t be anytime soon. Paper continues to be a dominant medium for mortgages, legal contracts and a number of other official documents that need to be carefully reviewed and signed every day. Paper is a highly integrated part of day-to-day operations across almost every industry. Organisations that don’t take secure storage and destruction of critical documents seriously are tempting fate. Where critical paper documents are stored must be secure on a number of levels. Personnel access should be limited to only those who need the information, and their access should be monitored at all times. Documents should be as safe as possible from elements like fire and water. Fire prevention systems and non-water fire suppressant alternatives can minimise risk to paper records. The average corporation can spend US$204 for every lost document. In the event of a fire, burst water pipe or natural disaster, those costs can inflate exponentially in a matter of days, even hours. Some organizations do not have the space or resources to employ high-level security measures and opt to store documents off-site. SydneyShred recommends businesses investigate the storage provider’s reputation. What security measures do they employ? Who has access to documents and what is its response time when documents are needed? Is its chain of custody secure and how are documents destroyed? After a document’s lifecycle has run its course, it must be properly destroyed. There are countless ways to improperly do away with obsolete paper documents, and the end result can be catastrophic. The same personnel and security considerations taken with storage should apply to destruction. SydneyShred takes responsibility for handling, transporting and destruction of its clients’ document – and this chain of security handling is critical to avoiding the nightmares associated with lost documents. For advice on conducting a risk assessment of your document handling processes and policies, contact SydneyShred. Does your Sydney business need secure document destruction services? Sydney Shred provides businesses across the wider Sydney metropolitan area with daily and weekly pick-ups of secure document bins. We ensure security from the moment we collect the bins through to shredding with complete destruction guaranteed. 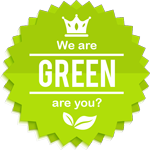 We’ll provide you with a certificate of destruction, plus with all shredded materials then sent for recycling, you can rest assured that your business is meeting its ecological obligations as well as data security requirements. Sydney Shred can service your business anywhere in the wider Sydney metropolitan area, including the CBD, Sutherland Shire, Parramatta, Bankstown, Liverpool, Norwest. Hornsby, Manly and Frenchs Forest. We can provide you with a regular service, with pick-ups scheduled as frequently as daily if you need, or provide a one-off service. Our fees are simple with no contract fees, no pick-up or drop off fees, and no ongoing rental fees. Our minimum service is two bins for two weeks. Each securely locked bin can hold up to 100 kilos of documents. Once the bins are full, simply call us to book a pick up, we’ll collect the bins from anywhere in the Sydney metropolitan area and take them to our secure destruction facility in southern Sydney to be shredded and then send the remains off to be recycled. Great question, and it’s important to make sure that your document destruction service takes security seriously. Make sure you ask the right questions to give you peace of mind that your confidential information is being appropriately handled at every step in the chain before shredding. At Sydney Shred, our staff all have high-level security clearance and we provide you with a 100% destruction guarantee. We’ll provide you with a certificate of destruction and it’s even possible to witness the destruction of documents under some circumstances. To get a quote for a regular scheduled service or to book a one-off pick up, call Sydney Shred on 1800 001 044 or fill in our online form. We make securely disposing of and destroying documents easy so you can get on with what your business does best!